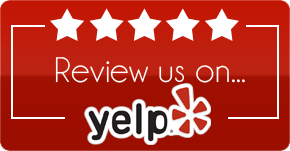 "I would like to highly recommend the Verde Valley Extended Stay Hotel. Whether it is for pleasure, business or you are relocating to the area. From the very first conversation with the General Manager Pilar, to my last day there after almost 3 months, I felt comfortable and welcomed. The suites are nice and clean, and the management staff is always available to assist you with any concern, that you might have. I could go on and on, but you won't be disappointed with this establishment. Great Customer Service." "In relocating to this area , I was lucky to find the VVES place. I was there 2 months and it is a clean and safe place. The accommodations are modern and comfortable. The manager was extremely friendly and very helpful and easy to work with. It is convenient to many restaurants. One can walk in the morning as there are sidewalks and a bike lane on the adjacent street. It is also pet friendly. I would recommend it to anyone who is relocating while waiting to move into their home." 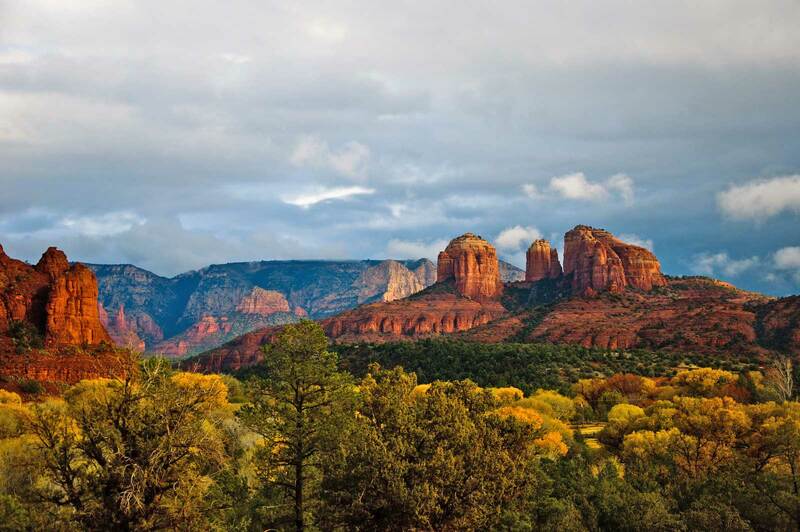 "From my initial contact in August 2016 through my last day of residence in mid-November of 2016, I found VVES to be the place to stay in the Sedona area. From its convenient location to superb staff, if you are looking for a safe, clean and secure residence—this is the place. Rooms are generous in size and complete with all of those items you need to make it a home. Management, housekeeping, and maintenance staff of the highest caliber; willing to assist in the most minimal of your needs. The onsite mailroom and laundry are secure and always spotless. Many of the retail and eating establishments are within walking distance for increased convenience. The terrace complete with seating was a wonderful location to observe to Arizona night sky. My feline traveling companion really enjoyed the views from the large picture window. While adjacent to a larger chain motel, many guests were long term residents of VVES which improved his location's desirability. Having a clean, safe and most importantly secure location was paramount as a single senior gal in selecting an interim location for my relocation to the Valley. Kudos to Victoria for all her personal attention to detail, in making this a premier extended stay facility." "My daughter stayed here for two months while interning in the area. What a relief, as a long distance mom, to know she had a clean, comfortable, safe place to come home to each night. Victoria's communications made me feel so at ease with the distance and I can't thank her enough! I know the only things my daughter missed were a pool and an oven but she said they were minor. Thanks for everything!" "When we relocated to Arizona in September 2014, we lived at the Extended Stay for almost two months. The one-bedroom ground floor unit was just perfect for us, and the location is super. We actually could walk to Fry's market, the health food store, a good number of restaurants, and even our real estate agents office. No swimming pool or oven, but the laundry facilities are great and the on-site manager was most gracious. Highly recommended." "As a healthcare traveler I stay at a lot of hotels, motels, and extended stays. This is the best ever. Super clean and nice apt. with a living room, bedroom, bath, kitchen and sweet little private patio. The manager (Victoria) was awesome, super friendly, super helpful. They also accepted my old evil cat. Close to the Verde Valley Medical Center." "We spent some time at Verde Valley Extended Stay America in Feb and boy did we enjoy it. It was everything as advertised and more. The suite was very clean and equipped with everything you need for cooking a meal to relaxing to getting a good nights sleep . Two TVs also were a bonus as when the wife wanted to watch one program, I watched my program in the bedroom. Stayed in a ground floor suite, and it had a patio with a table and two chairs which was nice. Very quiet place and no trouble with parking. In an excellent location for shopping, eating out and checking out the sites from National Monuments to State Parks to Sedona. The manager, Victoria, cannot be beat as far as making your stay enjoyable and pleasant. The staff that comes in to clean also does a excellent job. Will we stay at Verde Valley again is a "Big Yes" and we look forward to it for sure." "My wife and I stayed at the Verde Valley Extended Stay for a month and were very happy with the location and the fact that the property in very well maintained. Our unit was spotlessly cleaned once a week. The manager, Victoria, was helpful and paid attention to all our needs. Very close to Sedona and a short drive to Jerome...we will definitely stay here again on our next trip to Arizona...great job guys." “I went on a 7 month sabbatical and traveled everywhere. I loved the Verde Valley Extended Stay so much that I returned there on purpose. Clean, comfortable and very lovely. JT, the manager, is the nicest best man you will ever meet. He made sure on both month long visits that I was happy and had everything I needed. I sure did. Tina keeps the place so clean and nice. This is the best place to stay in the Verde Valley (and actually anywhere- I spent 7 months on the road and this was without question my favorite spot). I am planning to return quite frequently. If you are staying for an extended period of time in the Sedona area, you have made a mistake if you didn’t check out this hotel. The accommodations are top notch. Your suite includes everything that’s needed for a comfortable, long-time stay. The management is super, and super nice. The price would be a bargain with far less. The experience over all was much better than I expected. I staid two months and had no complaints, period. Reading this you may believe I went a little over the top with my praise-I assure you I did not. I have been staying at the Verde Valley Extended Stay for over a year and thought I might write a little about my stay. I am a single guy who does not have a lot of personal possessions or furniture and wanted to simplify my life by not buying a house or renting an apartment. The “all-inclusive” nature of the Extended Stay has suited my needs to a “T”. I relocated from San Diego with my two pets and found the Verde Valley Extended Stay staff to far exceed my expectations. Both John and Tina, the housekeeper, have gone out of their way to make my stay safe, clean and very comfortable. I will not hesitate to recommend Verde Valley Extended Stay, it was perfect for my needs. I stayed at Verde Valley Extended Stay (VVES) for six weeks from the middle of January to the end of February, 2013. The purpose of my stay was vacation. I highly recommend VVES. The apartments or suites are two rooms with furnishings, appliances, and kitchen utensils as described on the VVES website. The photos on the website are accurate. VVES is smaller and more attractive than most extended stay places. VVES is safe, quiet, and very comfortable. My ground-level suite had a patio with a bistro table and two chairs. The location is very convenient to restaurants, supermarkets, and other stores. Management and housekeeping are very competent, helpful, and friendly. I have no cautions or criticisms for VVES. You run a very efficient shop and it shows. I had a real nice stay. I’d hire you and if your employer doesn’t realize it, she should. The suite we were offered was fully furnished with a new comfortable bed and had a complete full kitchen with new pots and pans and being a level 1 (ground floor) unit it had a lovely fully enclosed private patio at the rear. Units on next level up have a private balcony. We were planning to say only a few nights but stayed for 2 weeks and would have loved to stay longer but we had to keep moving. The manager (JT) was friendly and helpful. Although there are several nice restaurants nearby, some within easy walking distance including Sizzler, we often preferred to buy our produce from one of the four supermarkets (all within walking distance– “Mt Hope Foods-Naturally” is a small version of Whole Foods) and cook most of our meals in the kitchen. Although we were staying in Cottonwood, we walked many of the walks in Sedona and some of the walks near Cottonwood. The accommodation cost significantly less than some of the inferior places we looked at in Sedona. We loved the walk around Bell Rock and Courthouse Butte North of the Village of Oak Creek and West Fork (Shady Lane off HW 89A). We have done a lot of travel in the last few years and stayed at all types of places in Australia, our home country and in several other countries including the USA. We thoroughly recommend the Verde Valley extended Stay especially if you find eating out is not as healthy as you would prefer. Room Tip: If not happy with the room offered, ask and if they have vacancies I expect you will receive. Clearly you go the extra mile for your customers. Please say hello to Tina our housekeeper. My wife and I have stayed here for a week this year, as well as in 2012. Both times it was far preferable to the Best Western next door, because the accommodations are so much larger. It is a furnished, one bedroom apartment. The absence of a pool is the only drawback, maybe. The benefit of that is absence of running and screaming children, and extra cost. The place is clean and quiet, with top quality linens. We’ll return soon. It makes no sense to stay 20 miles north in Sedona for the additional $75.00 per night.